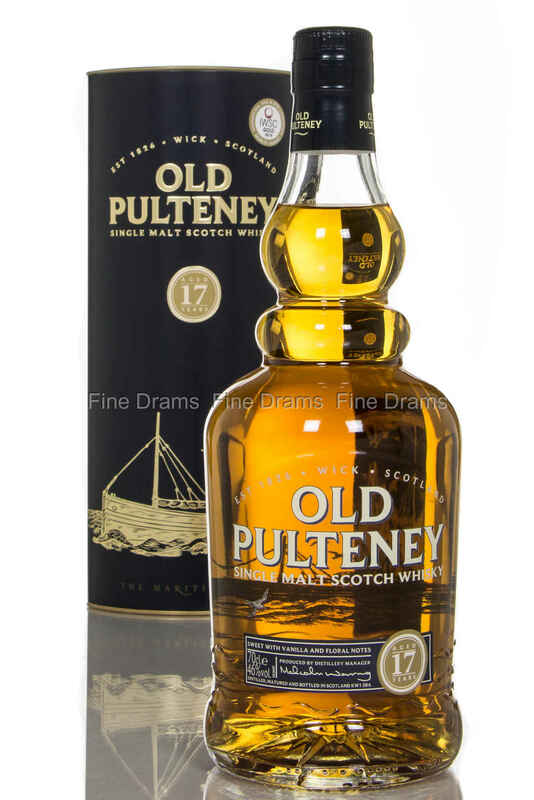 Old Pulteney 17 Year Old is matured in American ex-bourbon and Spanish ex-sherry casks. 17 years of maturation in the cold northern climate imparts a distinct coastal characteristic into this great single malt whisky. It won gold in the International Wine & Spirit Competition, 2014.